This is the second in a series of roundtable discussions on PMBOK® 6. 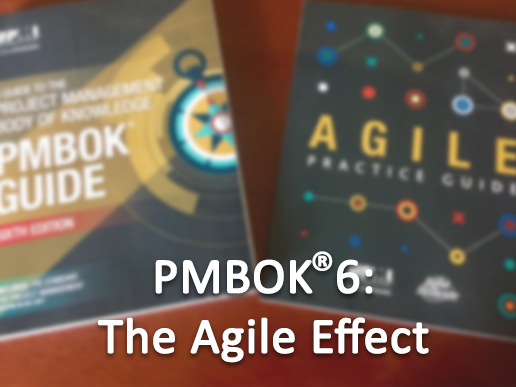 The focus here is Agile and the Agile Practice Guide, which is included as a supplemental volume in latest PMBOK® Guide. For this discussion, one of the co-authors of the guide, Jesse Fewell, joins two previous panelists, Michael Hannan, and Randall Iliff, to talk about the decision-making process that went into the guide, and what it means for PMs who must learn to adopt a more hybrid approach to project management. Earn education PDUs in the PMI Talent Triangle for each podcast you listen to — over 12.25 PDUs by listening to the entire series! Jesse Fewell is an author, coach, and trainer in the world of modern management, helping teams across the world deliver products faster with higher quality. A leader in the advancement of management practices, he founded the first PMI Agile Community of Practice, co-created the PMI-ACP® agile certification, and co-authored the Software Extension to the PMBOK Guide®. A graduate of Johns Hopkins University, he is the world’s only certified Project Management Professional® (PMP) to also hold the expert-level agile designations of Certified Scrum Trainer® (CST), and Certified Collaboration Instructor® (CCI). Mike Hannan is Founder and Principal Consultant for Fortezza Consulting, LLC, which helps CIOs, IT PMO Directors, and project teams improve the speed and reliability of their Project Portfolios. Mr. Hannan brings over 20 years’ experience as a Consulting Executive, IT Project Portfolio and Program Manager, Process Engineer, and Software Architect/Engineer/Designer/Tester. His background in Project Portfolio Management started at NASA in the early 1990s supporting large, complex programs such as the International Space Station and High-Performance Computing & Communications (HPCC). He has managed and consulted on $500M+ project portfolios, and trained CIOs and other senior executives in Federal Civilian, Military, and Commercial environments. Mike has been an active speaker at industry events, including local PMI chapter and community meetings, webinars, PM Symposia, and in the Agile community. He is a leading innovator of disciplined ways to integrate Agile, Lean, Critical Chain, and other techniques to drive dramatic breakthroughs in the performance of IT Project Portfolios. Mr. Hannan has been a PMP since 2005, and is a member of both the PMIWDC and Montgomery County chapters. He has been a Theory of Constraints Jonah since 2011, and has Masters degrees in Information Technology and International Affairs. He is also a devoted father of 3 teenage boys, a competitive masters-level track athlete, and an amateur oenophile. Mr. Iliff has over 35 years’ experience leading developmental effort, and has participated in all phases of project execution from proposal to close out. He is a seasoned large-project PM as well as a recognized expert in Systems Engineering. Mr. Iliff holds a BS in Engineering / Industrial Design from Michigan State University, and an MS in Systems Management, Research and Development from the University of Southern California. Mr. Iliff is a charter member of the International Council On Systems Engineering (INCOSE), and currently serves as the INCOSE representative on an alliance between INCOSE, PMI, and the MIT Center for Program Excellence. Until early 2016 Mr. Iliff was VP at the award-winning design firm bb7, where he was also Director of Strategy, Methods and Learning. Prior to that he worked for Motorola, Martin Marietta, and McDonnell-Douglas. In 2016, he left bb7 and founded Eclectic Intellect. 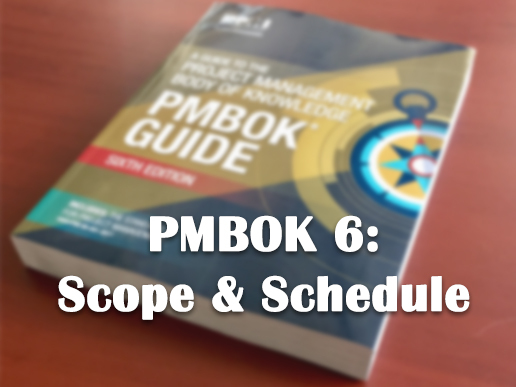 For this probing look at the newly released PMBOK 6, we convened a panel of experts for a rousing roundtable discussion. Host Kendall Lott talks with Stephen Devaux, Michael Hannan, and Randall Iliff about what’s good, what’s interesting, and what’s missing in the latest iteration of the PMBOK Guide. Among the topics covered are: projects as investments; time as a resource; flow; and more. Earn education PDUs in the PMI Talent Triangle for each podcast you listen to — over 12 PDUs by listening to the entire series! Steve Devaux, MSPM, PMP, is President of Analytic Project Management, Boston, MA, a PMI Global R.E.P. founded in 1992. Major corporate clients include Siemens, BAE Systems, Wells Fargo, Texas Instruments, Wyeth Pharmaceuticals, MIT Lincoln Labs, iRobot, L-3 Communications, American Power Conversion, and Respironics. Devaux’s newest book Managing Projects as Investments: Earned Value to Business Value came out from CRC Press in September 2014. He is also the author of Total Project Control, the second edition of which was published by CRC Press in March 2015. He contributed chapters on his new CPM metric, critical path drag, in two 2013 books: Project Management in the Oil and Gas Industries and Handbook of Emergency Response. He is the author of numerous articles and PMI webinars, and a frequent speaker at PMI Chapter meetings throughout the US. He also authors a blog on advanced practices in project management several times a week at www.TotalProjectControl.com. Over the years, he has taught graduate project management courses at Suffolk University, Brandeis University and University of the West Indies/Barbados and in Executive Education programs at Bentley University and UMass/Lowell. PMI Award Winners discuss projects and their philosophies vis-à-vis Project Management. Learn about how these outstanding PMs went about laying out their vision, handling the stakeholders, addressing the risks, and successfully completing some challenging projects. This inspiring episode offers great ideas and food for thought for PMs at all levels. Earn education PDUs in the PMI Talent Triangle for each podcast you listen to — over 11.75 PDUs by listening to the entire series! Connie is all about leadership -- as an education leader, corporate leader, and volunteer leader. As an education leader, Connie is a part-time instructor at several education institutions – teaching project management classes at both the undergraduate and graduate levels. She served as the Interim Executive Director for the CLIMB Center for Advancement at Portland Community College. CLIMB stands for Continuous Learning for Individuals, Management, and Business. This Dean-level position reported directly to the President of the Extended Learning Campus (ELC). She was a member of the ELC Leadership Team supporting the College’s mission, vision and core values. As a corporate leader, Connie worked for Cadence Management Corporation, an international project management training and consulting company. After 22 years with the firm, Connie retired in December 2010 as their Chief Operating Officer (COO). For 12 years, she worked in employee, customer and executive education for IBM Corporation. As a volunteer leader, Connie is an active member of the Project Management Institute (PMI) serving on numerous Boards and global committees. She is a frequent speaker at Job Seekers groups helping and mentoring professionals in career transition and provides support to our future leaders studying project management. In 2016, Connie received the PMI Eric Jenett Project Management Award of Excellence by PMI. Named after one of the founders of PMI, this award honors “individuals who have made an outstanding contribution(s) to the project management profession or its practice through leadership, technical project management, and strategic and business management acumen.” Since the beginning of this award in 1998, it has been given only 17 times – worldwide. Connie lives outside Portland, Oregon, USA - in the wine country! Since 2001, Joanne Hohenadel has been leading health informatics projects for UHN, McMaster University’s Health Information Research Unit and Center for Health Economics Policy Analysis. She has lead major projects related to health application integration; hospital finance; development of a clinical anesthesia information system, point of care clinical documentation and electronic medication ordering and administration. She is currently a Senior Project Manager for University Health Network (UHN) Digital. In addition to her Honours Bachelors of Applies Science degree, she holds her LEAN Green Belt, PMP, PROSCI Change Management and ITIL certifications. Andre D’Penha is a project management professional with over thirteen years of experience in the Canadian healthcare, retail, and automotive industries. Over the last ten years, he has successfully implemented medium to large-scale, complex clinical projects and quality improvement initiatives at the University Health Network (UHN), Canada’s premier academic medical centre, consisting of Toronto General and Toronto Western Hospitals, the Princess Margaret Cancer Centre, the Toronto Rehabilitation Institute, and the Michener Institute for Education at UHN. He has won numerous awards for his project management achievements, including the 2015 PMI Award for Project Excellence – North America, the 2017 Business Transformation & Operational Excellence Award for Best Achievement of Operational Excellence in Healthcare, and the 2017 3M Health Care Quality Team Award. He is currently UHN’s Quality Improvement Plan – Discharge Summary Program Manager, within UHN Digital’s Technology & Innovation Portfolio. Greg received a BE degree in Chemical Engineering from Cooper Union College in 1979. Greg had 30+ years of experience in 3 Chevron refineries and 2 Chevron/Phillips petrochemical /polymer plants prior to his current role. His initial background was in refinery engineering, followed by management roles in engineering, maintenance, operations and projects among those facilities. Current job responsibilities are across Manufacturing, Upstream Complex Process Facilities, Chemicals, Terminals, Lubricants and Non-Operated Joint Ventures. Greg is a licensed Professional Engineer (PE) in Mississippi and California. Greg is certified as a Process Safety Auditor (CPSA) and Project Management Professional (PMP). Greg was the engineering manager on the Project Management Institute 2015 Project of the Year Award Winner, Coke Drum Replacement Project at El Segundo Refinery. Greg is currently serving as chair of API Process Safety Site Assessment Program industry sub-committee. Greg and his wife Marty live California with 2 adult children and 2 grandchildren. This is a compilation of some of the earliest PM Point of View episodes, covering new directions in Project Management. Robert Brese, former CIO of the Department of Energy, talks about risk and what he looks for in a Project Manager. John Cable, Director of the Project Management Center for Excellence at the University of Maryland, discusses PM in the Academic sphere. Greg Balestrero, CEO Emeritus of the Project Management Institute, focuses on sustainability in Project Management – and it’s more than just the environment. German futurist, Oliver Schlake and Michael Hannan of Fortezza Consulting talk about how PMs need to create and nurture an environment that promotes innovation. Mr. Brese is the Chief Information Officer (CIO) for the Department of Energy (DOE). He provides leadership, establishes policy, and maintains oversight of DOE’s annual $2 billion investment in information technology (IT), at more than 25 National Laboratories and Production Facilities, to enable urgent missions that span from open science to nuclear security. Mr. Brese is also a leader in the U.S. Government’s cybersecurity community and a key contributor to the Administration’s efforts in legislation, policy and technology research, development, and deployment. He is a Chair to the CIO Council’s Management Best Practices Committee and also serves as an advisor to the Domestic Policy Council’s Strong City, Strong Community Pilot. Prior to his current assignment, Mr. Brese served as DOE’s Deputy CIO. Previously, Mr. Brese was the Deputy CIO for Information Technology for the National Nuclear Security Administration (NNSA) and also the Director of the Office of Program Evaluation within Defense Nuclear Security in NNSA, where he began his civilian career and his tenure in Senior Executive Service. Prior to working in NNSA, Mr. Brese served as a submarine officer in the U.S. Navy, retiring after a 22-year career, which culminated in his assignment as a Senior Advisor to the Deputy Administrator for Defense Programs within NNSA. Mr. Brese holds a Federal Chief Information Officer Certificate from The National Defense University. He obtained a Master of Science from Catholic University of America, was a qualified Naval Nuclear Propulsion Engineer in the U.S. Navy’s Nuclear Propulsion Program, and received a Bachelor of Engineering at Vanderbilt University. Mr. Cable is a licensed architect and general contractor with over 35 years experience. His activities have included planning, design, and construction of buildings; building energy conservation research; management consulting; and teaching. In 1980 he was cited by Engineering News-Record as “one who served in the best interests of the building industry.” And, in 1992 he was selected by Remodeling Magazine as one of the 50 best remodeling contractors in the United States. Since joining the Clark School of Engineering at the University of Maryland in the fall of 1999, John initiated the graduate program in project management, an undergraduate minor, and the Center for Excellence in Project Management. He teaches courses in Project Management Fundamentals, and Managing Projects in a Dynamic Environment and is widely sought after for his seminars and workshops on a variety of Project Management topics. John is also chairman of the Project Management Institute’s Global Accreditation Center Board of Directors, a member of the Federal Government’s Project Management Working Group, and a member of the Science & Engineering Council of NASA’s Center for Program/Project Management Research. John is also a founding member of the International Project Management Educational Union along with Peking University and 6 other universities worldwide. In 2004 he coauthored a report for the National Academy of Sciences Federal Facilities Council on “Key Performance Indicators for Federal Facilities Portfolios”. Prior to joining the University, Mr. Cable was a Research Fellow in the Logistics Management Institute’s Facilities and Engineering Management group where he managed a variety of lead assignments analyzing facility design and construction practices, conducting benchmarking and business process re-engineering studies, assessing the use of information technology in the management of design and construction, managed business and program planning assignments, and training/assisting clients in becoming certified in compliance with ISO9000 Quality Management Standards. Prior to LMI, John created and managed a design/build firm specializing in renovation and new construction of residential, commercial and retail properties and directed energy conservation research in buildings for the U.S. Department of Energy. Greg Balestrero has been a global advocate for excellence in performance management and business results. In a career spanning more than 40 years, he has been a project engineer, project manager, and for the last 30 years, a senior executive of professional membership associations related to engineering and project management. From 2002 – 2011, Greg served as the President and CEO of Project Management Institute (PMI®). He has met with business and government leaders in more than 60 countries, advocating and promoting a project focus in engineering, construction, and a broad range of business sectors. This exposure has shaped his thinking and message, reinforcing the need that organizations must transform to sustain themselves, integrating the values of community and the planet, with their own corporate strategies and values. Through his work at IIL as strategic advisor, Greg aims to help global corporations discover how they can change their strategies to focus on serving their communities and the planet, while being or becoming market leaders. Project Management is a team sport; projects are rarely implemented by a single individual. But the minute you bring two, three, not to mention fifty or hundreds of team members together, you open yourself up a range of potential group dynamics issues. In fact, the pressures of time and budget, along with the drive to get results, can lead to bullying and other unproductive behavior. It’s up to the project manager to set the tone, define standards, establish lines of communication, and support the individuals as well as the group as a whole. Three experts on Teamwork and how it relates to Project Management – Paul Pelletier, Lisa DiTullio, and Rami Kaibni – discuss how to nurture and manage your team for optimal functionality and quality results. Earn education PDUs in the PMI Talent Triangle for each podcast you listen to — over 10.75 PDUs by listening to the entire series! Paul is a corporate lawyer, project manager, international public speaker, and business executive with over 25 years experience in senior roles in government and industry. A pioneer in the legal profession, Paul fused his law career with project management and has over 15 years in senior management, leading transformational projects and teams. A recognized leader in the project management profession, Paul also serves on the Project Management Institute’s Ethics Member Advisory Group. During his career, on more than one occasion, Paul realized he was the target of disrespectful workplace behaviour and workplace bullying. Workplace bullying can be as harmful at work as it is in schools. Paul knows this from personal experience. He will share his story and how it led to the work he does today. Leveraging his experiences, Paul established his consulting business with the goal of raising awareness and inspiring change. He is now an advocate, consultant and expert in strategic workplace bullying management, workplace respect and training. Helping organizations establish strategic policies, programs, and processes for openly, fairly, and effectively addressing workplace bullying is his focus. He is a regular presenter at global conferences and other events. Lisa DiTullio is the principal of Your Project Office, a PMI® Registered Education Provider and consulting organization dedicated to introducing project management as a business competency and enabling healthcare organizations to improve decision-making, instill accountability, and enhance communications. Lisa is the author of multiple project management books, articles, and blogs. She is a recognized international speaker in her field and is known for her story-telling to impart messages that are both impactful and practical. Lisa is a past member of the South Shore Chamber of Commerce Board of Directors and the past chair of the Women’s Business Connection. She is the founder of Leadership in Action, a program designed to create a sense of empowerment for high-school girls. Lisa currently sits on the Board of Directors for the Cohasset Maritime Institute and is an avid (and sometimes competitive) open-water rower. Quality is difficult to define, so how can you guarantee that your project will result in a quality outcome? There are tools you can use and steps Project Managers can take to ensure quality results. Clearly define quality expectations up front, and make sure all the stakeholders understand and agree. Pay attention to Voice of Customer. Do lots of testing along the way, with a highly critical eye. Ensuring maximum quality goes hand in hand with minimizing potential risk. Three experts on Quality, Jon M. Quigley, Mike Frenette, and Brian Cohn discuss how you can – and should – incorporate “Quality” into all phases of a project. Earn education PDUs in the PMI Talent Triangle for each podcast you listen to — over 10.5 PDUs by listening to the entire series! Jon M. Quigley PMP CTFL is a principal and founding member of Value Transformation LLC, a product development training and cost improvement organization established in 2009 (www.valuetransform.com). Jon has multiple master level degrees from City University of Seattle, as well as an engineering degree from University of North Carolina at Charlotte. He has been employed by PACCAR and Volvo, and is an experienced tier one supplier to the automotive industry (Ford, General Motors, Chrysler and Harley Davidson and more). Jon has won awards such as the Volvo 3P Technical Award and the Volvo Technology Award, and has secured 7 United States patents. Jon has co-authored or contributed to more than 12 blocks. The titles range in topics all associated with project management and product development including quality tools. He is on the MPM advisory board of Western Carolina and Forsyth Technical Community College. He is available for speaking and guest lecturing on project management and product development and can be reached at Jon.Quigley@valuetransform.com. Mike Frenette, PMP, CMC, I.S.P., SMC has been engaged in information technology and project management for more years than he cares to admit. He has been employed by utility, oil and gas, and manufacturing organizations, and several consulting firms over the last few decades. Mike currently owns Corvo Project Management, a PPM consulting, mentoring and training company. He has a penchant for staying up to date with methods and processes that help organizations achieve their strategic goals, and enjoys sharing what he has learned with anyone who will listen. Mike is a frequent speaker and trainer on project management topics locally, nationally and internationally at in-person conferences and virtual sessions. He has proven to be a serial volunteer through roles on boards and committees, contributing to the inner workings of the Canadian Information Processing, the Canadian Management Consultants Atlantic, PMI Nova Scotia and PMI Global. Brian Cohn is Process Excellence Manager at Danfoss Power Solutions focusing on the development of new products and services. He has held design engineering, application engineering, project management, and product management roles, at firms in the manufacturing, aerospace, and defense segments for over 30 years. Most of his experiences have been in business to business environments and he is passionate about improving both the effectiveness and efficiency of new product development. Our PM methods face stress in the face of projects that are related to research and development…where systems engineering is the key discipline is needed. The focus is on the requirements that change, that the project scope is unstable, as there are decisions that will arise after the project is undertaken. The PM’s task becomes a focus on creativity over structure…but what are those trade-offs? We need to follow more conditional branching, tasks that aren’t executed, and tasks that are suddenly forced to be repeated until an exit condition is met. It gets complicated when seen from our standard linear view. Listen in and here three engineers. Randall Iliff, Ruth Barry, and Nathaniel Fischer discuss projects with different definitions of what “done” looks like. Earn education PDUs in the PMI Talent Triangle for each podcast you listen to — over 10.25 PDUs by listening to the entire series! VOLCANO (PHILIPS) CORE FM Project Manager Wireless device used to measure blood pressure and blood flow. The project included human interface, industrial, mechanical, advanced electrical and software design, and full product testing. ORASCOPTIC XV1 INTEGRATED LOUPE AND HEADLAMP SYSTEM Project Manager The first fully-integrated loupe and headlamp system for use in dental and surgical applications. The project included IP research, human interface, industrial, mechanical, optical, electrical and software design, and full product testing. The loupes launched 18 months after approved concept. KERR DENTAL CURING WAND Project Manager Two generations of ergonomic curing wands; the second product features ultracapacitor technology in place of traditional battery technology. Both projects included IP research, human interface, industrial, mechanical, optical, electrical and software design, and full product testing. The first wand launched within twelve months of concept approval; the second product followed one year later. LANAIR PORTABLE RADIANT HEATER Mechanical Engineer Addressed reliability concerns with existing machine. Re-designed a portable radiant heater to reduce cost, and simplify the design to minimize assembly time and reduce rework and scrap. MALLINCKRODT PHARMACEUTICALS Lead Mechanical Engineer Designed modular test fixture for gas sensors that allows for several different gas flow configurations. GE HEALTHCARE VARIABLE COST PRODUCTIVITY (VCP) PROJECTS VCP Mechanical Engineer Work with a cross-functional team to reduce component costs. Tasks include: writing engineering change orders, verification activities, updating documents. NASA KENNEDY SPACE CENTER MODELING AND SIMULATION Simulation Engineer Intern Using Mathworks Simulink and Simscape, developed a model of a closed-volume fluid tank, and tested the model in a real-time environment. Risk is an organizational problem that reaches into our ability to make sound business decisions. We should think of stakeholders (and activating them to be positive and helpful), remember to check assumptions, and recognize that risks shift as priorities and the external environment do. Beyond the project-level risks, and past even basic quantification of risk and impact, we need PMs to consider the ultimate business value of their projects – and whether the project should even be done. Yep, even for a project, risk is an organizational concern that has a perspective shaped by the very organizational culture. Listen in to this episode and hear influencers Andy Jordon, Beth Spriggs and Bruce Harpham describe their insights and their approaches to handling risks and consulting with others about it. Earn education PDUs in the PMI Talent Triangle for each podcast you listen to — over 9.75 PDUs by listening to the entire series! Andy Jordan is President of Roffensian Consulting Inc., an Ontario, Canada based management consulting firm with a strong emphasis on organizational transformation, portfolio management and PMOs. Andy has a track record of success managing business critical projects, programs and portfolios in Europe and North America in industries as diverse as investment banking, software development, call centers, telecommunications and corporate education. Beth Spriggs, PMP, is an experienced coach, trainer and speaker. Currently she serves as the vice president of technology at Leadership for Educational Equity (LEE), a major nonpartisan organization. For more than 16 years, she’s solved unsolvable problems, tamed unruly projects, and pulled off the impossible for organizations by deploying technologies that work for customers while positioning clients for what’s coming next. Her extensive portfolio consists of everything from bite-sized undertakings to years-long overhauls that impact every aspect of the organization, but her focus has always been technology project management. Some of Beth's contributions include delivering webinars for ProjectManagement.com and NTEN, speaking at NTEN's Nonprofit Technology Conference and DC Web Women's Conference; and attending PMI's Global Congress NA 2015 as an Expert. Beth was PM.com's member of the month August 2015. Bruce Harpham is the author of the forthcoming book "Project Managers At Work," (Apress) which showcases the career paths and lessons learned from project professionals from NASA, Google, Apple and other leading organizations. Bruce Harpham is also a columnist with ProjectManagement.com and runs the ProjectManagementHacks.com blog. Bruce lives in Toronto, Canada. Saving Priceless History! From cracks in the US Capitol Dome, to the dirt of Idaho, to the empty shelves of the Iraq Museum, experts protect the artifacts of our society. These artifacts are an important element of maintaining the lessons of who we are, of remembering what came before, and of having an appreciation of what we can accomplish. Encompassing historical archaeology, restoration, and even investigating the theft of priceless artifacts, it turns out these efforts have beginnings and endings, outputs and outcomes, teams, plans, risks, and budgets – they are projects. In this episode, we discuss three very different CRM projects: the restoration of the most iconic building in the United States (the Capitol Dome), the identification of a lost town in Idaho, and the memorable recovery during the Iraq conflict of some of the most important cultural artifacts of antiquity. We see the efforts of these professionals, Christine Merton, Bob Weaver and Colonel Matthew Bogdanos through a PM Point of View, and take some lessons that we can use in all of our projects. Earn education PDUs in the PMI Talent Triangle for each podcast you listen to — over 9.5 PDUs by listening to the entire series! Ms. Merdon began her Federal career in 1981 as a cooperative education engineering student for the U.S. Navy. After earning her Bachelor of Science degree in 1987, from the University of Maryland in Civil Engineering, she continued her career with the Navy as a project engineer and project manager. In 1998, she received a Master of Science degree in Civil Engineering. In 1990, she joined the White House Military Office as a Project Manager responsible for managing classified design and construction projects at the White House, Camp David, and other Presidential Support Facilities. In 1998, Ms. Merdon was hired by Clark Construction, LLC, where she was project manager and superintendent on numerous projects including the American Red Cross Headquarters, Bethesda Place II, and the renovation of Baltimore’s historic Hippodrome Theater. Ms. Merdon joined McKissack & McKissack in 2000, where she ascended to the role of Senior Vice President of Program and Construction Management. Her responsibilities included operations and business development for program and construction management contracts in Washington, DC, Chicago, Illinois, and Los Angeles, California. She was instrumental in the growth of the company in Washington, and start-up and management of the program management division in Chicago and Los Angeles. All told, she has been responsible for the successful program and construction management of more than $11 billion in major construction projects and programs including: Washington Nationals Major League Baseball Stadium, O’Hare Modernization Program, Eisenhower Executive Office Building life-safety upgrades, Los Angeles Unified School District, Martin Luther King, Jr. National Memorial, Smithsonian Institution’s National Museum for African American History, and Lincoln and Thomas Jefferson Memorial Renovations. Throughout her career, Ms. Merdon has won many outstanding performance awards, as well as project excellence awards for construction projects. She is a Registered Professional Engineer in the Commonwealth of Virginia, a member of the Construction Management Association of America, and a Certified Construction Manager. Ms. Merdon is the President of the DC Chapter of the Architecture, Construction, and Engineering (ACE) mentor program, and is very active in the Women in Engineering program at the University of Maryland. Colonel Matthew Bogdanos is a homicide prosecutor for the New York County District Attorney’s Office. Raised waiting tables in his family's Greek restaurant in Lower Manhattan, he is a former middleweight boxer who joined the U.S. Marine Corps at 19. He left active duty in 1988 to join the DA’s Office; but remained in the reserves, leading a counter-narcotics operation on the Mexican border, and serving in Desert Storm, South Korea, Lithuania, Guyana, Kazakhstan, Uzbekistan, and Kosovo. Losing his apartment near the World Trade Center on September 11, 2001, he joined a counter-terrorism task force in Afghanistan, receiving a Bronze Star for actions against al-Qaeda. He then served in the Horn of Africa and three tours in Iraq—leading the international investigation into the looting of Iraq’s National Museum—before deploying again to Afghanistan in 2009. The first to expose the link between antiquities trafficking and terrorist financing, he has presented those findings in 22 countries, in venues including the United Nations, Interpol, British Parliament, the Peace Palace in The Hague, and the U.S. Senate. He received a National Humanities Medal from President Bush for helping recover more than 6000 of Iraq's treasures in eight countries. He holds a classics degree from Bucknell University; a law degree, master’s degree in Classics, and Recognition of Achievement in International Law from Columbia University; and a master’s degree in Strategic Studies from the Army War College. In addition to dozens of military decorations, he received the 2004 Public Service Award from the Hellenic Lawyers of America, 2007 Proclamation from the City of New York, 2009 Proclamation from the City of Philadelphia, 2011 Ellis Island Medal of Honor, 2016 International Giuseppe Sciacca Achievement Award from the Vatican, and was Grand Marshal of the 2010 Greek Independence Day Parade. Returning to the DA’s Office in October 2010, he still boxes for wounded veterans and continues the hunt for stolen antiquities, recently leading an investigation that resulted in the largest seizure of stolen antiquities in U.S. history: $150 million dollars in ancient statues stolen from Southeast Asia. All royalties from his book, Thieves of Baghdad, are donated to the Iraq Museum. Robert Weaver is the lead historian on major CERCLA and other environmental litigation cases. Researched industrial technology and process, identified Responsible Parties, and assisted attorneys in case strategy. He also continues with cultural (archaeological) resources projects. He served as lead historical archaeologist for the Sandpoint Archaeology Project, which is the largest Section 106 mitigation project in the State of Idaho. The project excavated information on the initial railroad town of Sandpoint (1881-1915) and recovered over 560,000 artifacts, mainly historical.